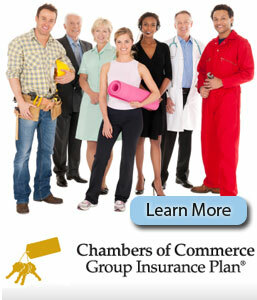 A one-person firm, farmer’s or a home base business can get health benefits at group rates by joining the Chamber Group Plan. You do not need to have multiple employees to get a reasonable rate. Coverage includes 24 hour disability coverage on or off the job, first day accident, 8th day illness, dental care, prescription drugs, vision care, semi- private and private hospitalization.